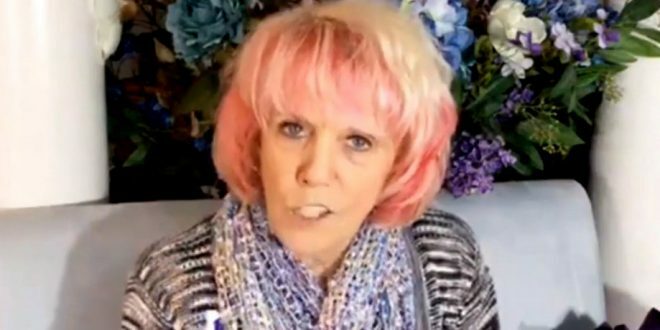 Christian Prophetess "Takes Authority" Over Florence, Commands Millibars To Rise In The Name Of Jesus - Joe.My.God. You knew prophetess Kat Kerr would be on this, right? “We’re going to take authority over Florence and we say you will become nothing. You will not do destruction to land or to people or to property. We command the millibars to rise, rise, rise in Florence. You rise, millibars! You dissipate that storm, you get it downgraded, downgraded, downgraded. We’re not going to agree with any of the forecasts they are giving for that storm, the categories it is going to get to, the damage it is going to do, the flooding it’s going to do. We are crushing it. Lady Miss Kerr made this prophecy last week, so obviously her 100% fail track record remains completely intact. PREVIOUSLY ON JMG: Kat Kerr claims God has a rainbow colored pet unicorn. Kat Kerr claims she met Jesus in person and he was totally hot. Kat Kerr clams that once you reach heaven, Jesus personally throws you a dance party in his mansion and serves you the delicious desserts he baked himself. Kat Kerry claims God personally told her the results of the next five presidential elections.